It's happy hour. Cheers. Roll out the barrel. All these words ring hollow to me. I can't join in the merrymaking. I can't enjoy a tipple. Instead of getting drunk, I itch. I am one of those who can't even drink on a social level. I fancy the hip cocktails with twirly picks or minute parasols and wish I could nurse one and feel in with the crowd. But I am not one of those. I am not hip, not fancy, am old and can't take alcoholic beverages. I'm a total geek. The good side is I don't get hangovers. I'm not capable of alcohol abuse so I'll never be need to join the AA. That's a sobering thought. If it's good enough to drink, it's good enough to eat. 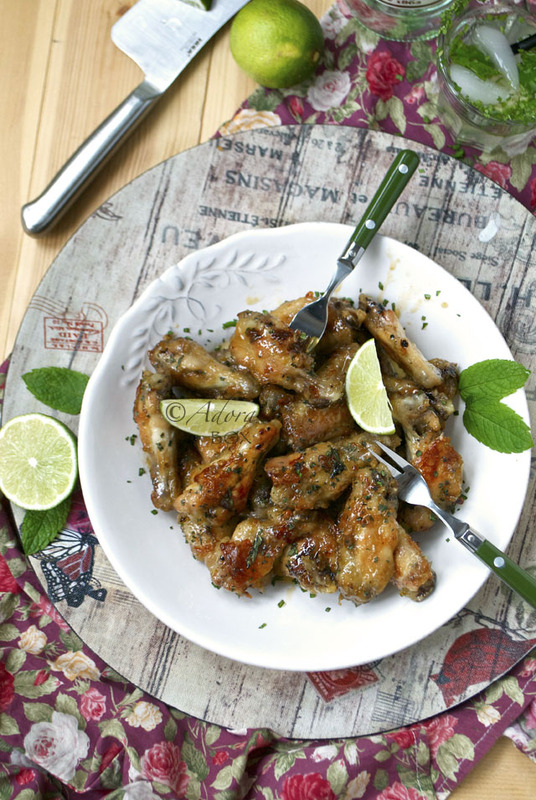 These wings are inspired by rum mojito cocktail. I've seen a lot of twists on mojito but they are all in liquid form. 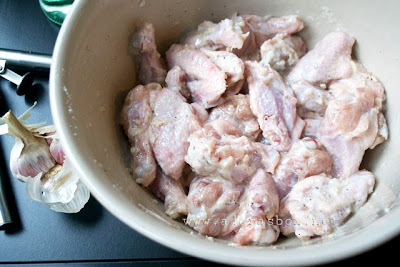 I solidified the concept by using the essence to flavour these chicken wings. 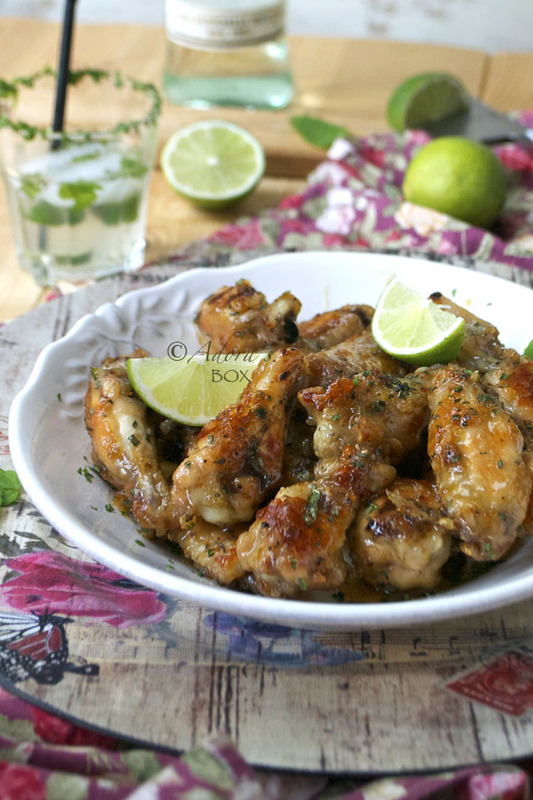 Light rum, lime and mint went on these little babies along with a few taste boosters. 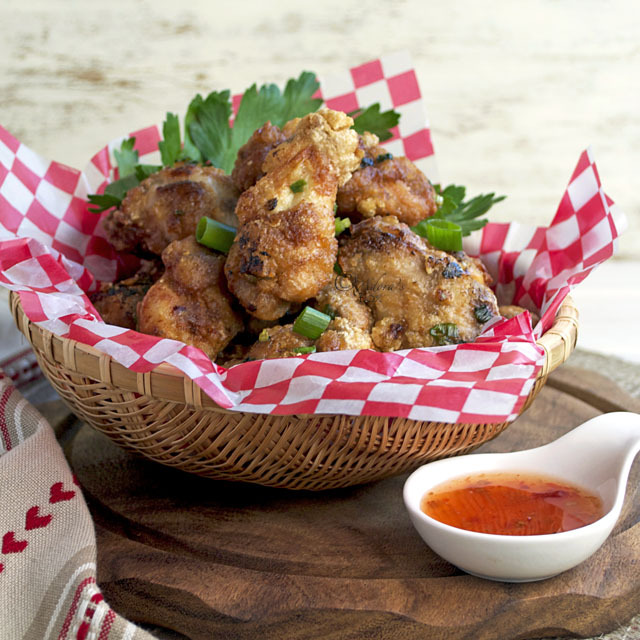 It is the glaze that gives it the x factor; sticky, sweet and buzzing with rum. Although it has booze in it, I wouldn't call it boozy. It gives a pleasant tingle to your lips. You wouldn't want to drink your mojito after having eaten it. 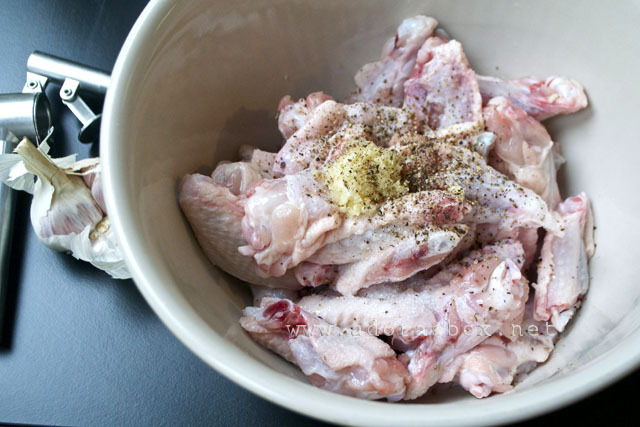 Cut the tips off the chicken wings and then split the remaining piece at the joint. 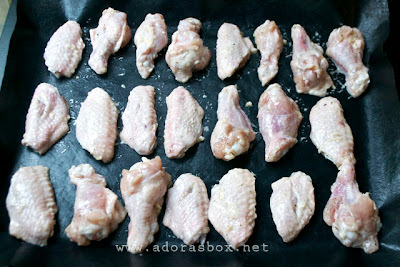 Season the wing pieces with the garlic, 2 tsps. of salt and the ground black pepper. Add the oil and corn flour and mix very well. Line a baking sheet with a non stick liner. Arrange the wings on a single layer. 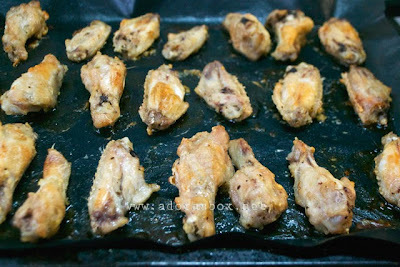 Bake in a preheated oven (390° F/ 200° C) for 40 minutes turning at half time. 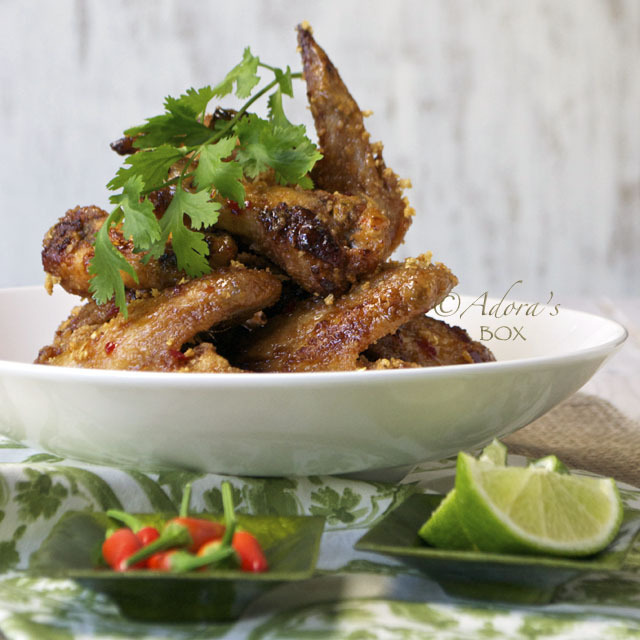 While the wings are in the oven, mix the 1/4 c. rum, sugar, juice and rind of the lime and soy sauce in a pan. 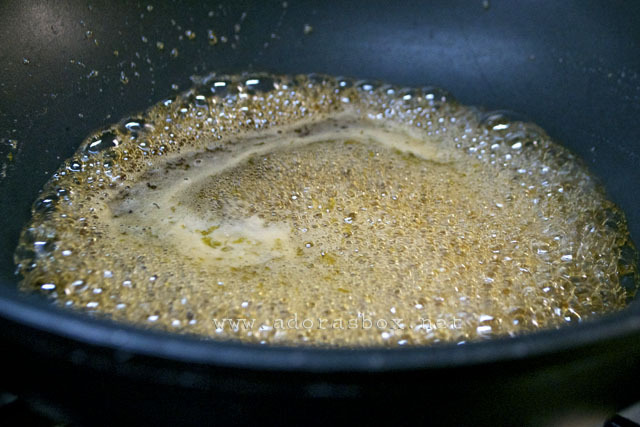 Bring to a boil and simmer until syrupy. Take off the heat then add the butter. 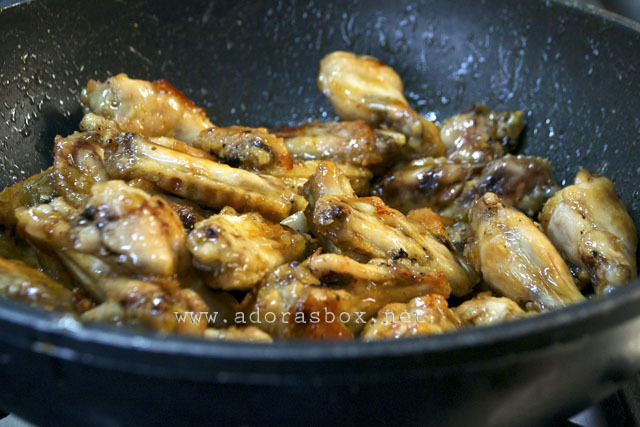 When the wings are done, add them to the syrup along with the last tbsp. of rum. Scrape the pan the chicken was baked in with a rubber spatula to scrape all the delicious crusty bits that have formed. Add this to the syrup. Stir to coat the chicken with the glaze. 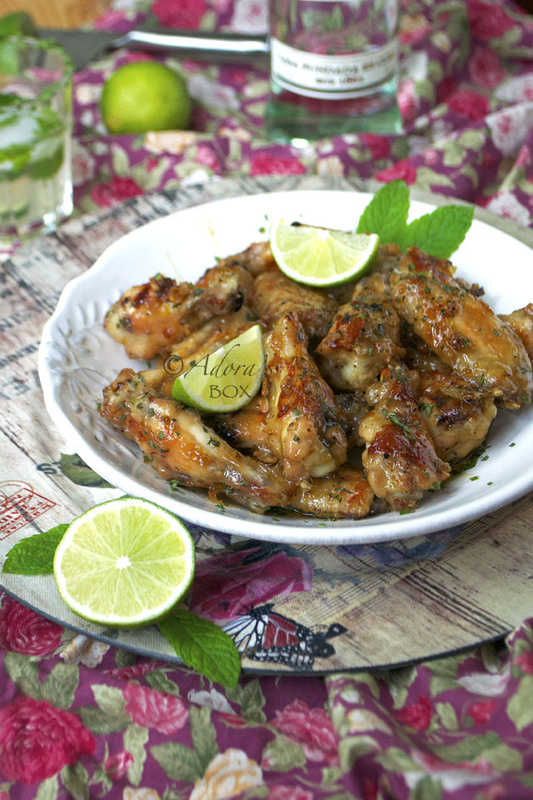 Transfer to a serving plate and sprinkle with the mint leaves. This dish seem so simple in the ingredients and yet it makes this look so succulent delicious! Yum! 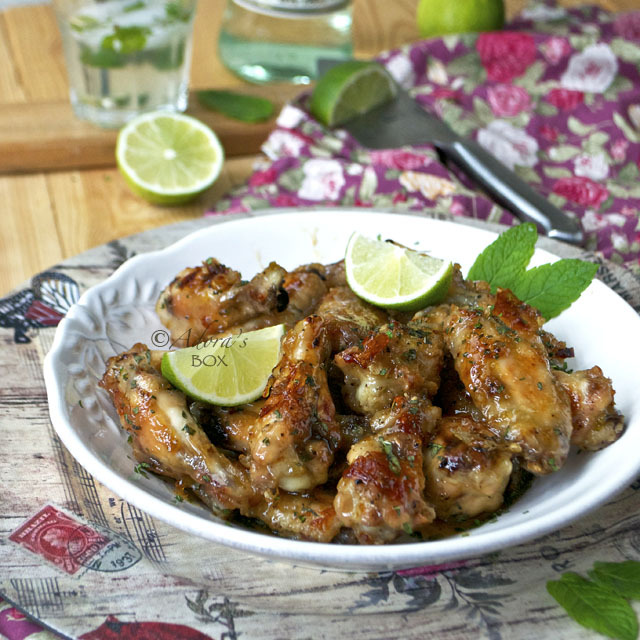 What a great idea to use the flavor of a mojito on chicken! 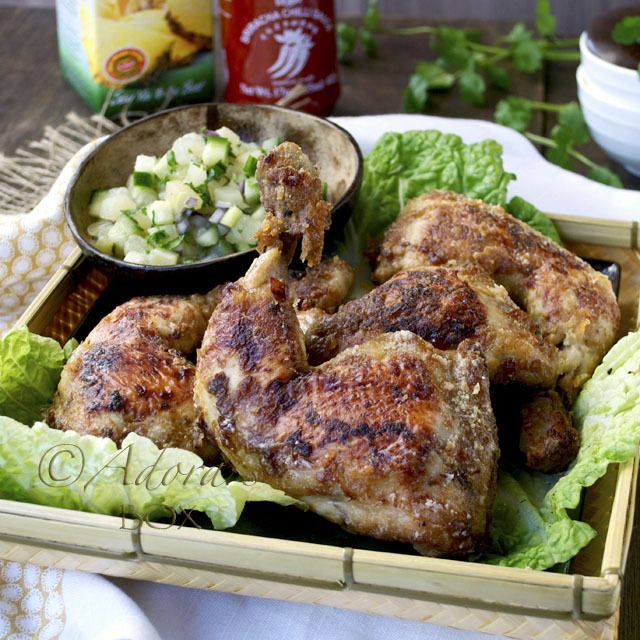 This looks so simple and so delicious! Genius, I wonder how many more cocktails can be turned into a delicious dinner. This looks really delicious. I cannot wait to make this.